Improving energy efficiency and retrofitting existing building stock with clean energy technology are two crucial strategies for urban sustainability. Cooper Union is making a concentrated effort to implement both strategies in its Foundation Building. In order to improve sustainability practices, it is necessary to have an accurate understanding of existing practices. CUISD is working with a variety of stakeholders throughout the campus to attain a complete portrait of Cooper Union's resource use. Current Sustainability Offerings at Cooper Union Cooper Union already offers a variety of sustainability resources to students, faculty and the greater community. 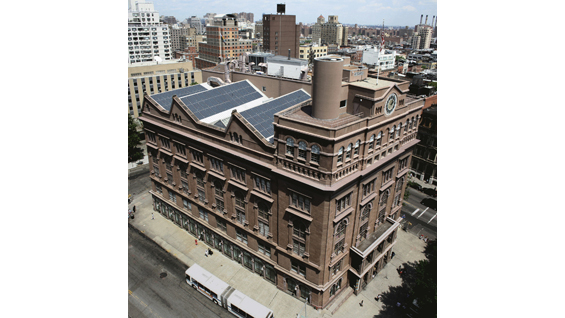 The following is a list of Cooper Union's current sustainability resources. This list is iterative and subject to change; please email Patrick Robbins (robbins@cooper.edu) if you would like to suggest an update.